Oh, this brings the memories flooding back. 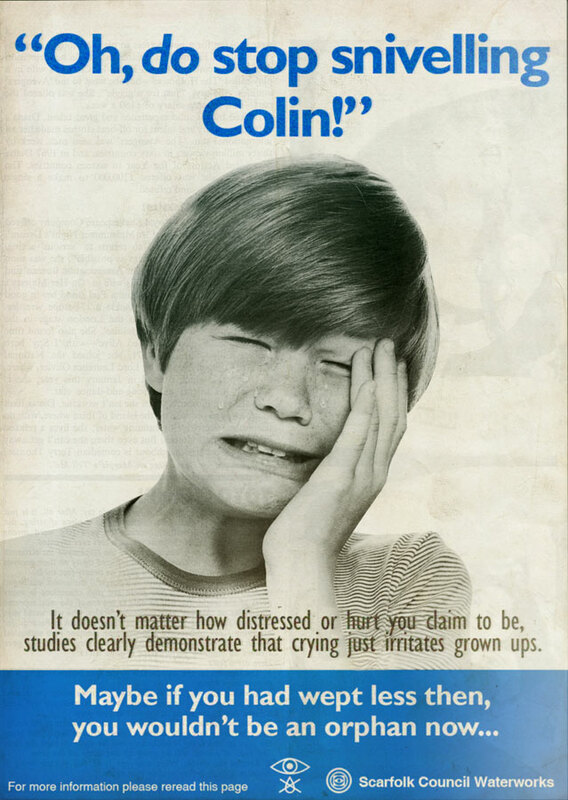 Whenever my copy of "Colin and his Thing" magazine came through the letterbox, my mammy would open it to this advert and hold it directly in front of my eyes, She never said anything (at least, not in english) but I knew what she meant. Apparently, if you bottled their weeping tears it made a particularly potent amulet to ward off the 'strange children'.